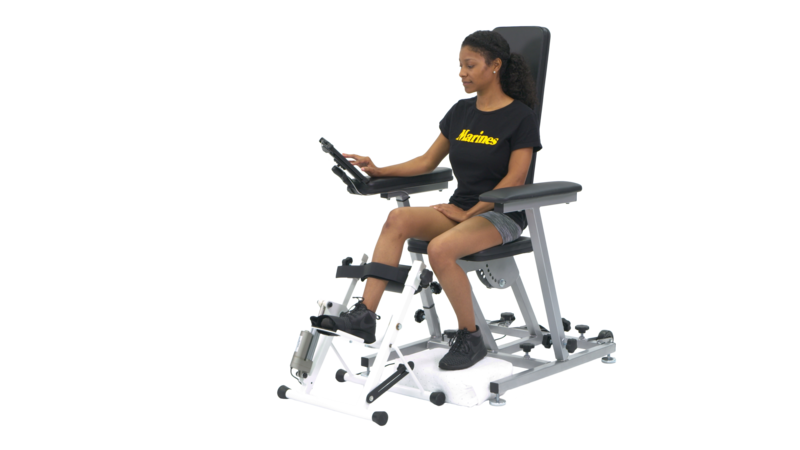 Total Range EXerciser | Get Back To It! high intensity stretching applied by physical therapists. 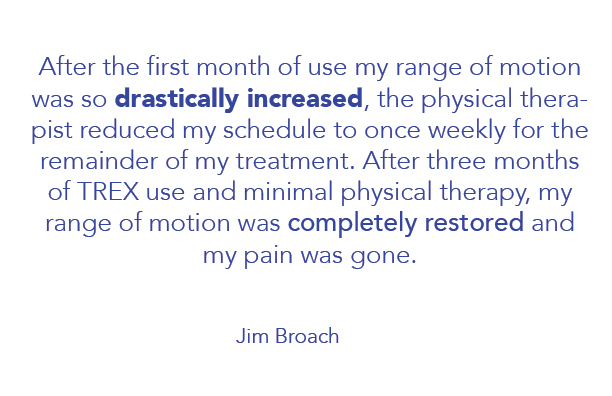 T-REX Restores Range of Motion in Less Time and with Better Results. When you sustain an injury to a major joint, that injury can truly diminish your quality of life. 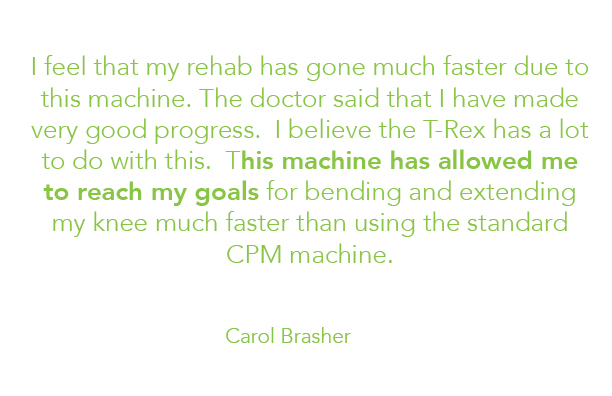 With T-Rex, you can restore your range of motion and get back to doing what you love faster! 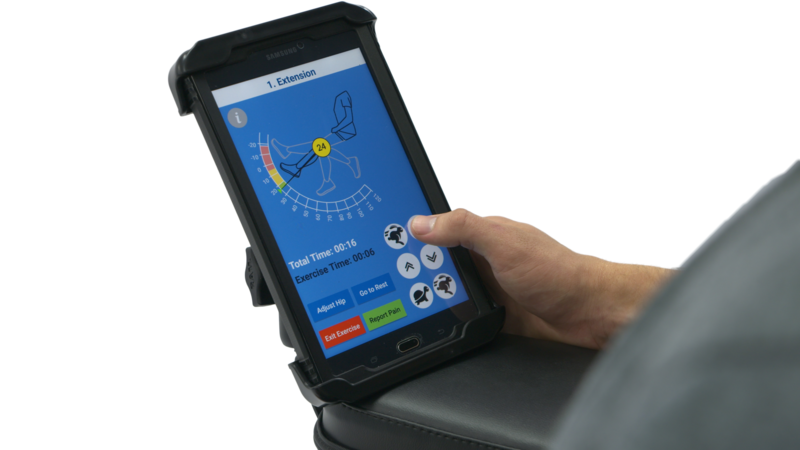 T-Rex works by emulating the high intensity stretching applied by physical therapists. This stretching elongates and breaks down scar tissue, allowing for a greater range of motion to be achieved in a shorter amount of time. all sorts of new capabilities. that we are also HIPAA compliant? T-REX units come with a 100% money back guarantee. 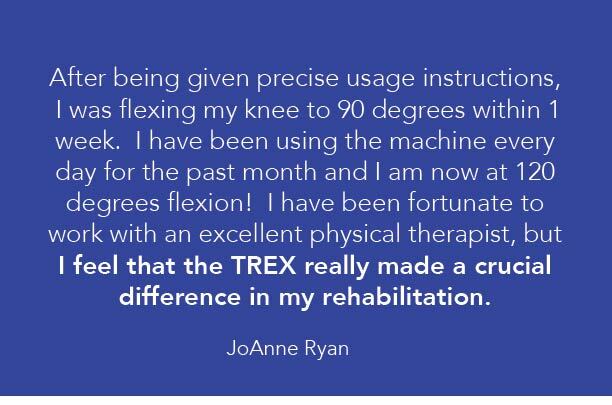 If patient is fitted with and uses a T-REX device as instructedfor the initial 60 day period following surgery then T-REX Rehab provides a 100% money back guarantee policy should that patient require a manipulation within one year of the initial T-REX treatment. 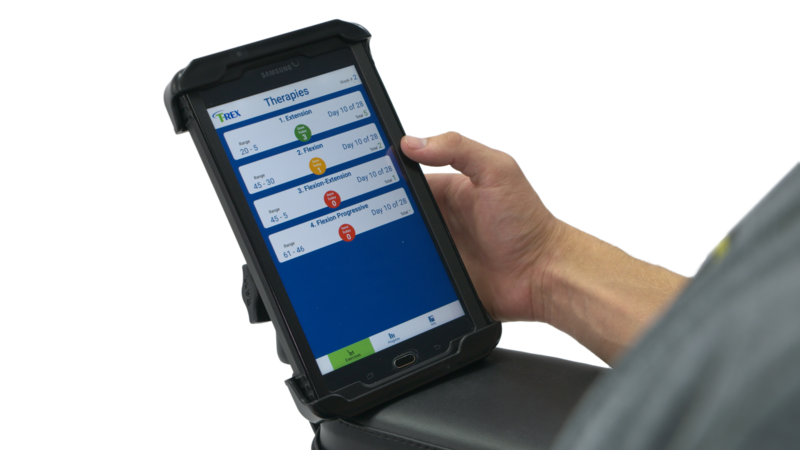 Moreover, following the manipulation procedure, T-REX Rehab will also place a T-REX unit on the patient for a period of 30 days at no cost.